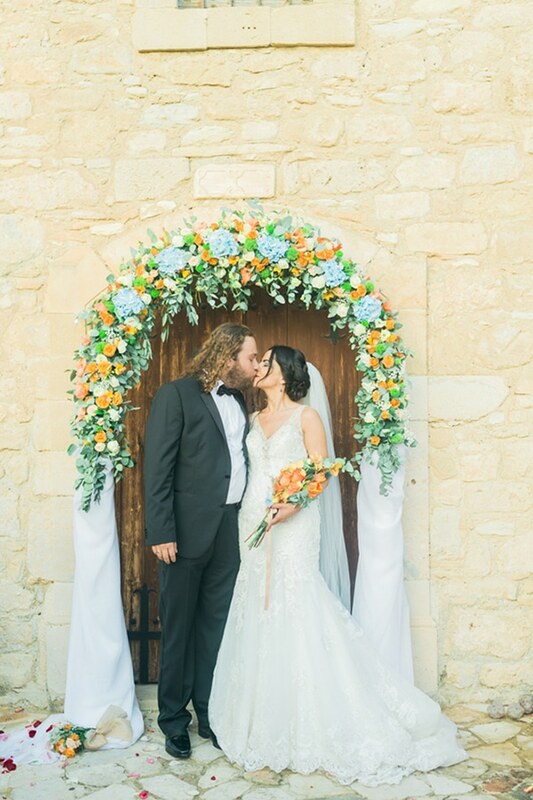 We are sharing today a beautiful wedding in Cyprus with orange and blue details! 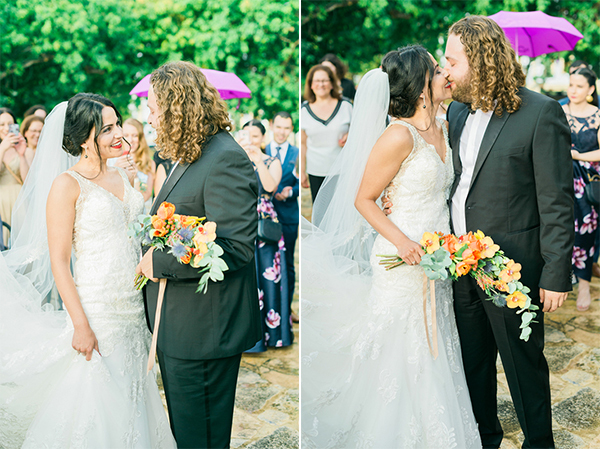 With an elegant yet playful style, this colourful wedding was so lovely! 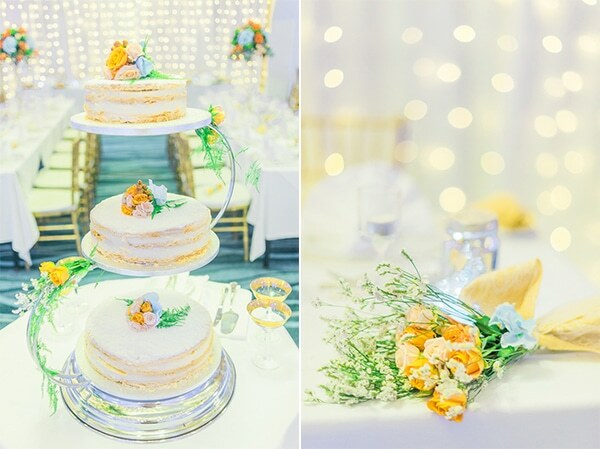 We loved the orange and blue flower garland decorating church’s entrance and the elegant table setting with gold, orange and blue details! 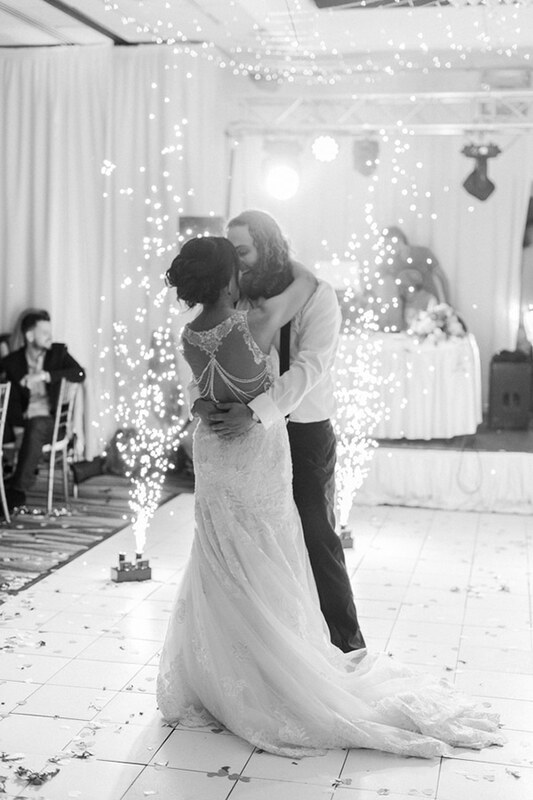 The fairy lights above the dancefloor created such a romantic atmosphere! 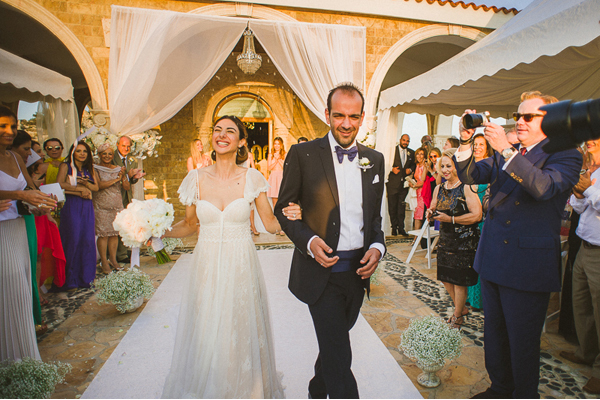 Enjoy this wedding through the beautiful photos captured beautifully by Antonis Prodromou! 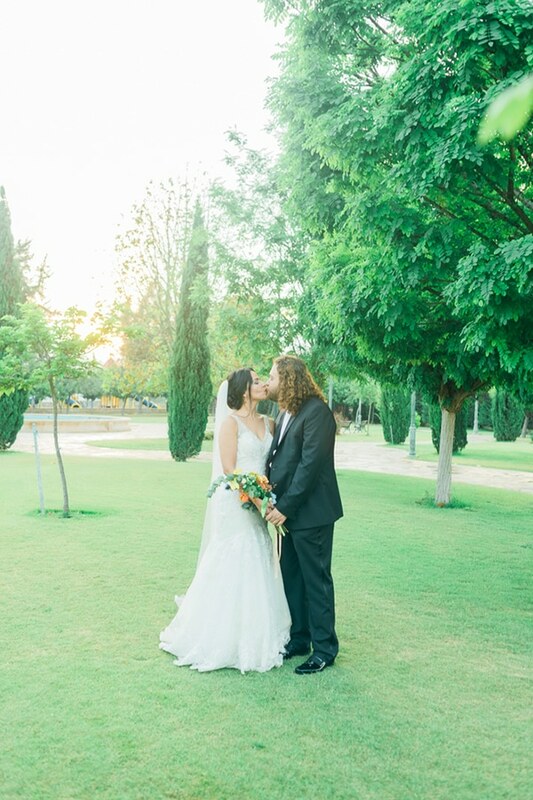 From the bride: “We met at the Larnaca Sea Scouts when we were teenagers. 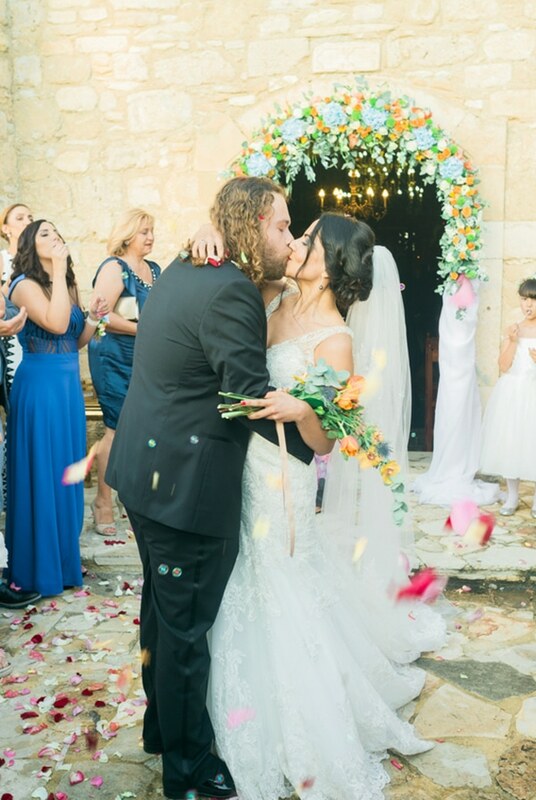 He proposed on the plane on a flight back to Larnaca in 2016”. 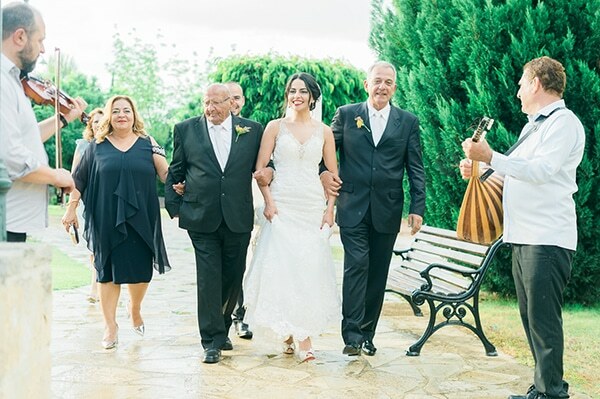 “The ceremony took place in the church of Panayia Angeloktisti in Kiti village, Larnaca. 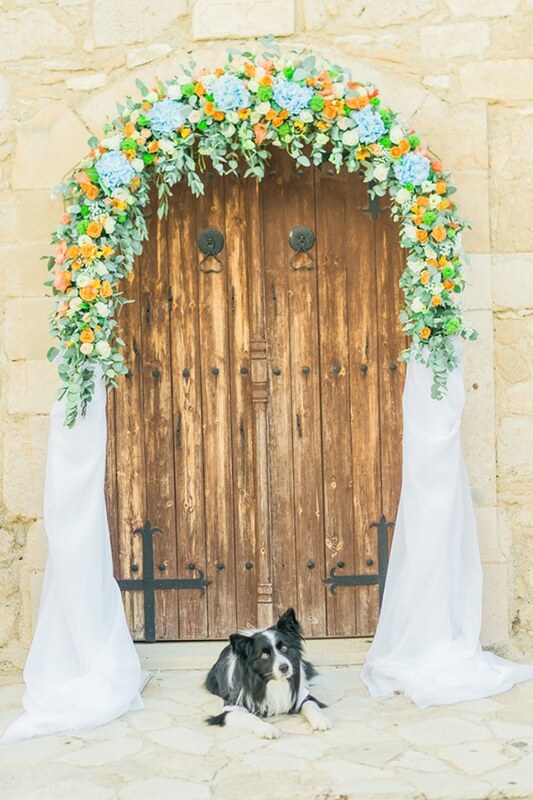 We picked the ancient church of Panayia Angeloktisti because my late grandma was from Kiti village and it was the church where I was christened and used to go to as a child. The church itself is very beautiful. 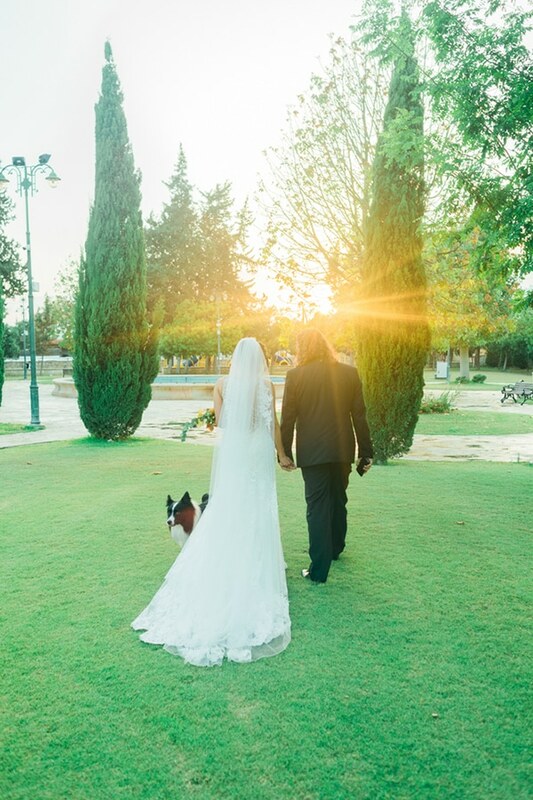 We chose Palm Beach Hotel as the staff has years of experience in wedding receptions and dinners and also because we wanted to stay in Larnaca”. 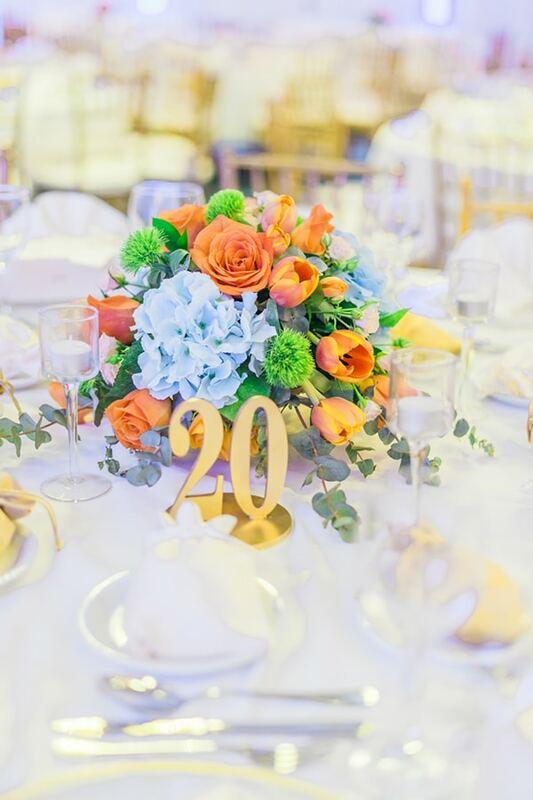 “We picked mostly shades of orange flowers with touches of blue. 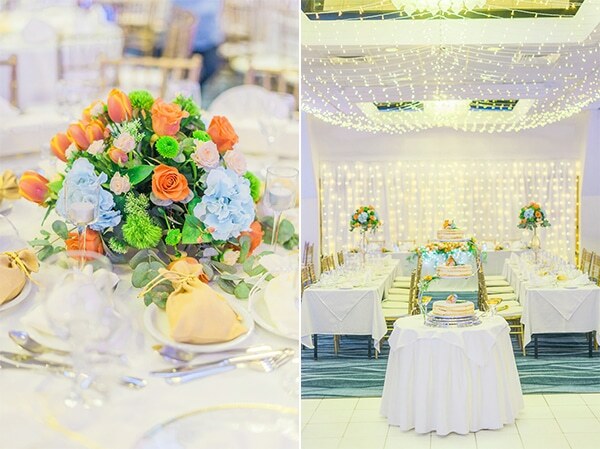 I wanted something colourful as I believe it gives an indoor venue a more playful character and I wanted to get away from the mostly used pale pink, white and red shades. 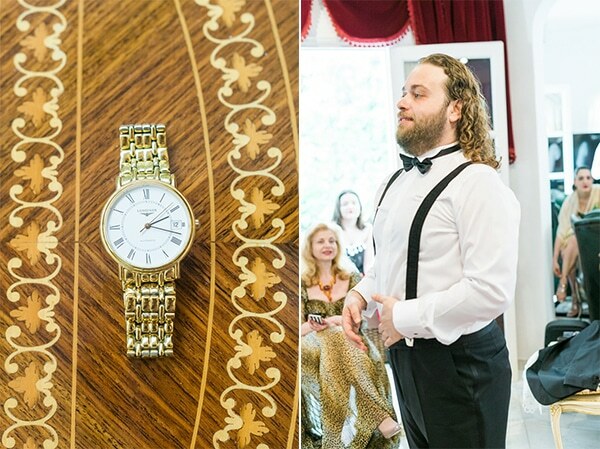 The rest was kept simple with ivory and gold details. 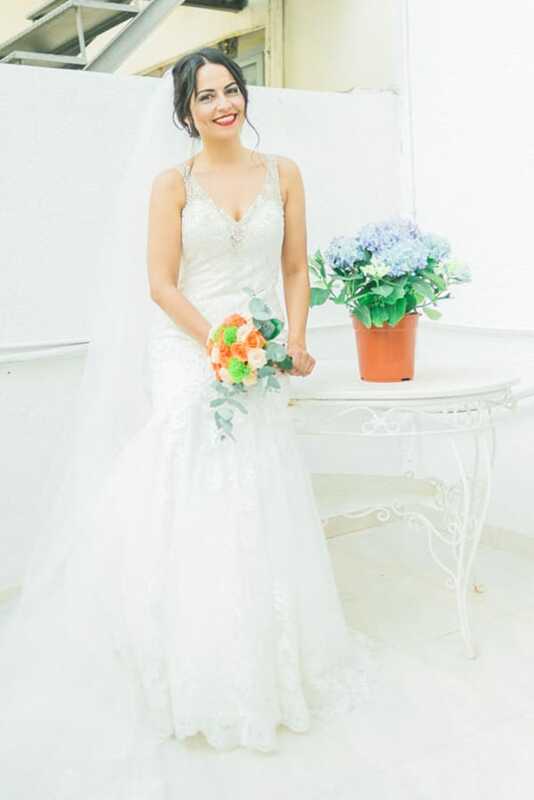 My bridesmaids wore outfits in different shades of blue which they picked themselves as I did not want them to wear the usual bridesmaid’s dresses”. 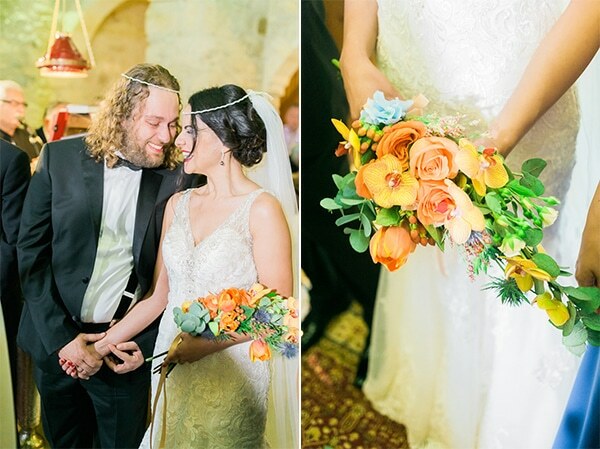 “My flower bouquet had orange tulips and an interesting shade of orange orchid with touches of blue eryngium”. 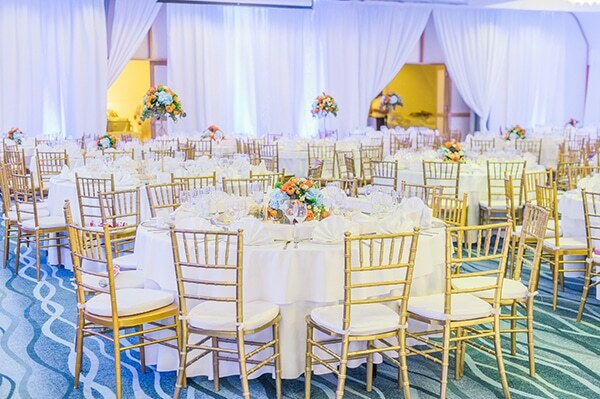 “The chairs we chose from Lavithis K. Catering Services were the gold Chiavari and the charger plates from Party City Cyprus were foggy-glass with a matt-gold rim. 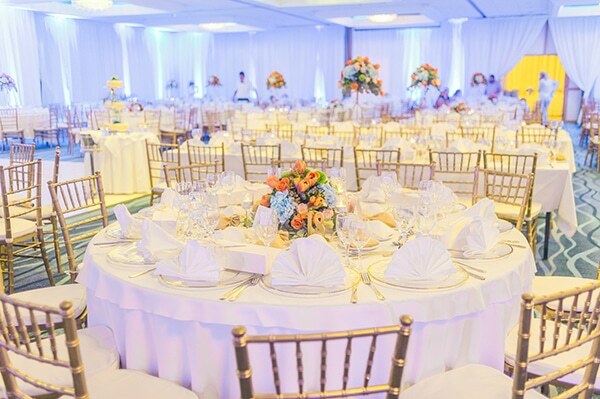 We also decorated above the dance floor with fairy lights which really warmed up the venue and surrounded the venue with blue neon lights which really complimented the flower arrangements, all from Recital Theama kai Politismos”. 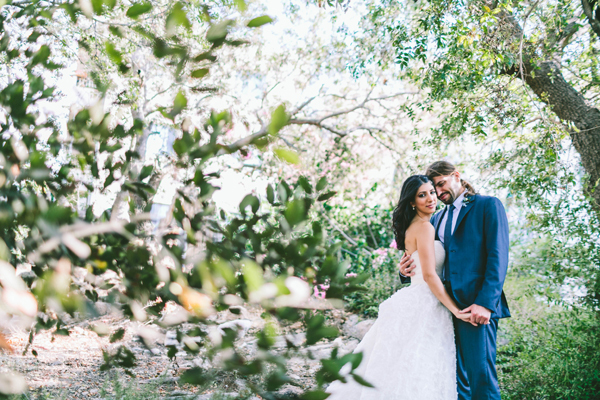 “For inspiration, I used the internet a lot (Pinterest, online magazines). 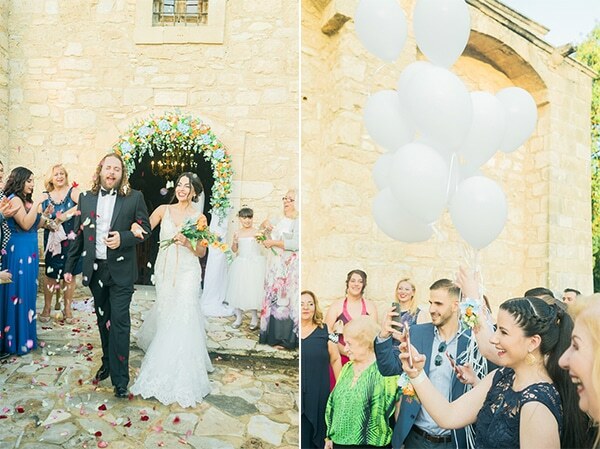 A lot of ideas came from my wedding coordinator Geo-Little Tresures Cyprus. 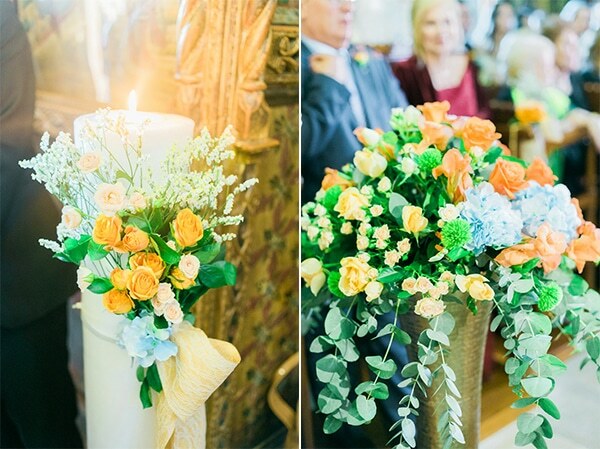 Also, the input of my mother in-law was very helpful as she was really into planning the wedding”. 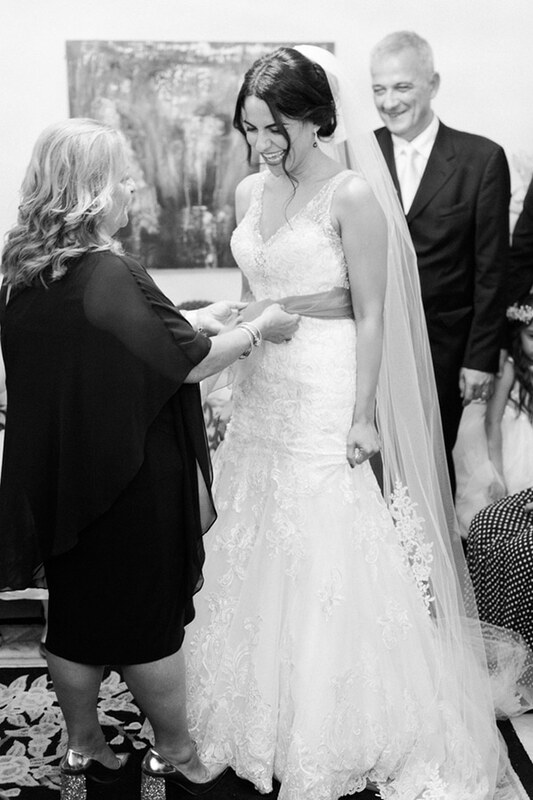 “I chose my wedding dress because of its interesting back”. 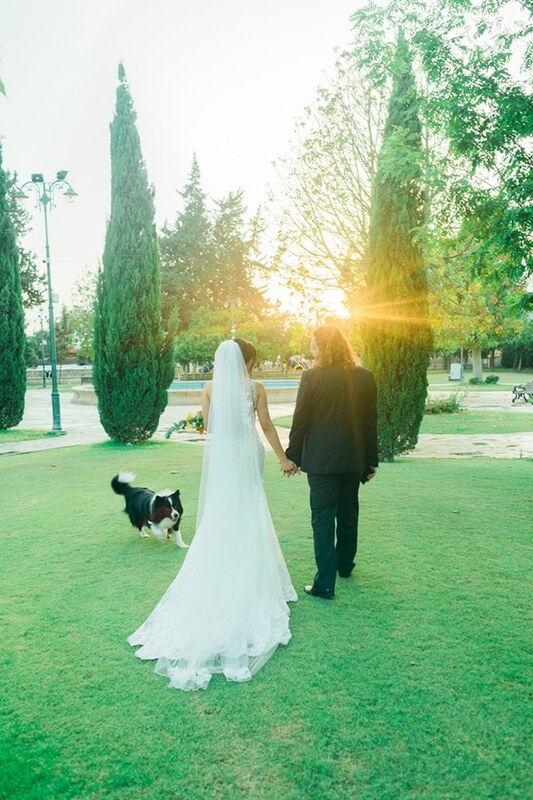 “The highlight of the wedding I believe was the presence of our dog, although we enjoyed every minute as it is a day that passes really quickly and never comes back”. 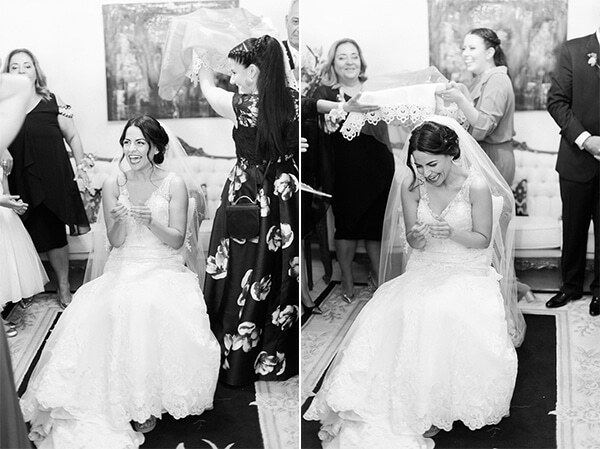 Bride’s advice: “Relax and take it easy. There is no reason to stress about anything. 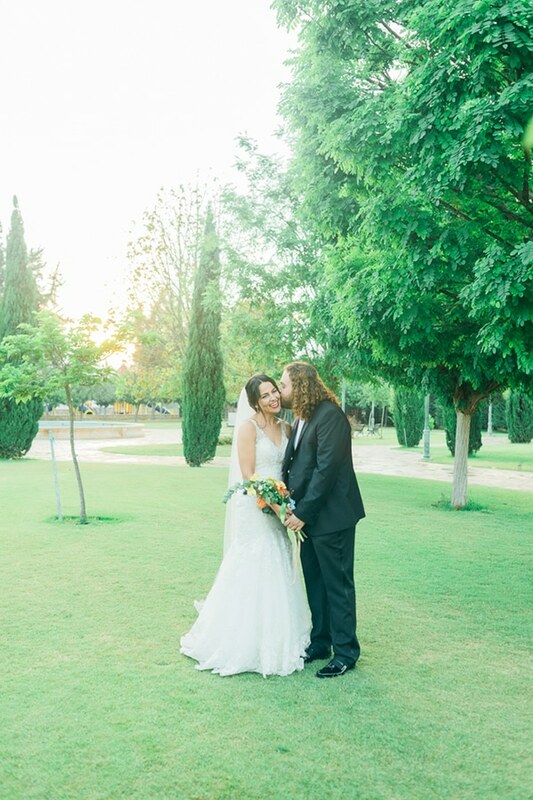 There is a solution to anything that might come their way”.